I feel like I brought Panera home. 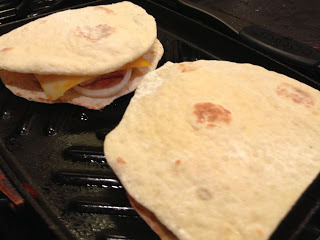 Flatbread or panini sandwiches with an apple….mmm. Except without the price tag. 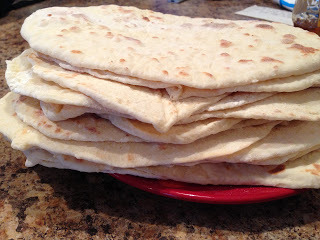 In fact to make an entire batch of flatbread only costs about $1.20 which makes 14 sandwiches. That makes one one sandwich (only flatbread) $.08. Yes, 8 cents. 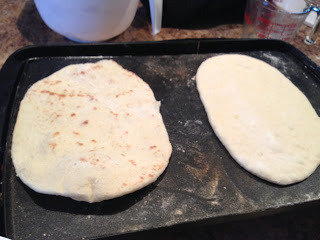 I used to buy flatbread at the store and you buy 2 flatbreads for about $2.50-$3.00. What a scam! NEVER AGAIN. 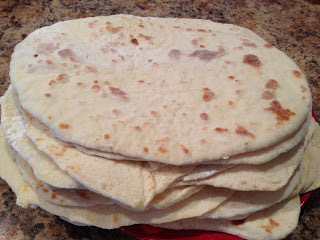 Just like tortillas and hamburger buns….never again will I buy them because of how good they taste from scratch, how much better they are for you, and how much money you SAVE. Want to cut down your grocery bill? Make those 3 things from scratch and you’ll save a lot in a few months or years time. Plus, these things don’t take that long to make. Oh yeah, the recipe. It’s really not hard. It’s similar to the TORTILLAS I make. 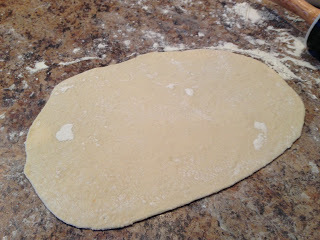 The texture is slightly different and you don’t have to roll it as thin. 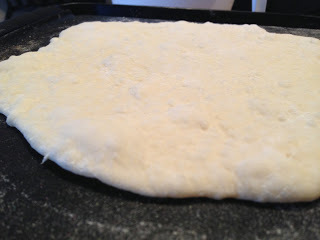 I put over half the flatbreads in the freezer so I can continue using whenever I want. 14 in a batch. 14 people! That’s a lot because Each one makes a large sandwich when cut in half, or roll it if you want. I used chicken in these but you could make it veggie or a deli meat. Grill if you prefer or don’t grill. 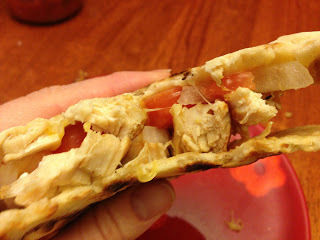 I grilled tonight….like I said, bringing Panera home. 1. 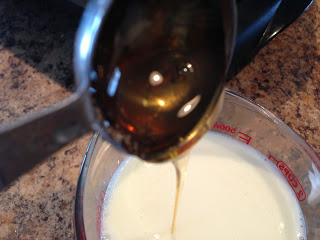 Warm milk in microwave or stove. I did 2 minutes in the microwave. 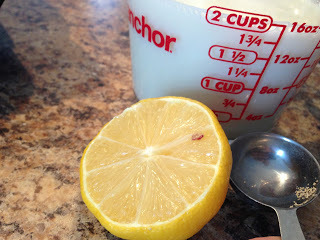 Add honey and lemon juice and stir. 2. 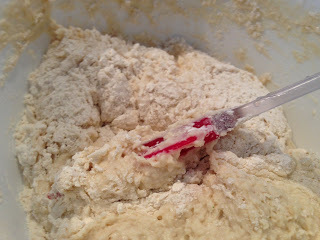 In a bowl, mix dry ingredients and add milk mixture. 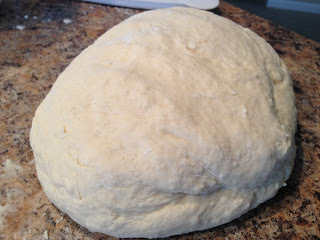 4. divide into 14-16 balls and let rest 5 minutes. 6. Cook on hot skillet 30-60 seconds and flip. 7. Remove from heat and let cool on a plate. 8. I made sandwiches and cut the flatbread in half. 9. I marinated chicken and grilled it. Then cut into pieces along with tomato and onion. I placed each on a flatbread half and topped with colbyjack cheese. 10. 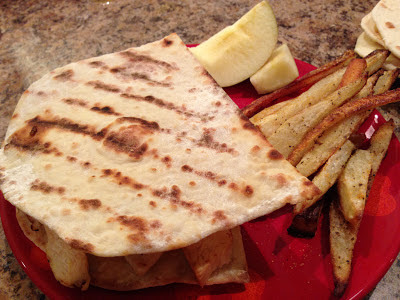 I grilled on a panini pan and served with homemade fries and apple slices. Soup or salad would be fantastic also. 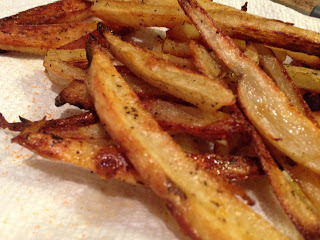 The trick to crispy fries? 2 things. #1 is to soak them in hot water. Sometimes I soak for 10 minutes or over one hour (depends on time you have). It really does make a difference. 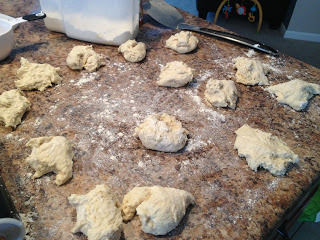 Tonight I soaked them a little longer than one hour and they turned out very very nice. Seasoning. It makes all the difference with food. They aren’t hard. I really prefer fries at home than out at restaurants. Healthy oil and fresh potatoes equal delightful tastes that don’t make you feel like crap. Plus it doesn’t add lots of fat to that stomach (which is a very high percentage for women who eat processed fries). Also, eating fries made from fresh potatoes is lots cheaper than eating out or buying a bag frozen. You’re talking cents on the dollar to make these. A 10 pound bag of potatoes at Aldi is usually $2.49 and you may use 1/2 to 1 pound in a meal (depending on # of people)…..see what I’m saying? #2 to make crispy fries? Foil over top of the pan for the first 5 minutes. Helps cook through the fries first and makes them nice and soft on the inside. Then remove it the rest of cooking time and you get a nice crispy fry with soft middle. 1. 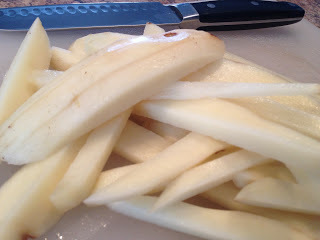 Peel potatoes, slice into fry pieces. 2. Place in a bowl with hot water. 3. Let sit at least 10 minutes. I like mine to set for over an hour. 4. Preheat oven to 425. 4. Drain water and leave potatoes in bowl. 5. 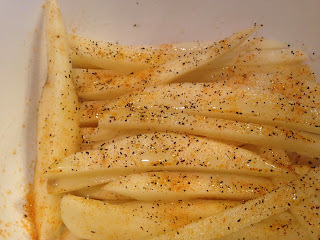 Drizzle with olive oil, salt, pepper. 6. 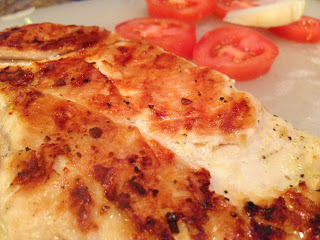 Take a pan with ridges, drizzle more olive oil, salt, pepper on pan. 7. Spread fries out across pan so it’s one layer. 8. Cook for 8 minutes covered with tin foil. 9. Remove foil and cook till desired crunchiness. 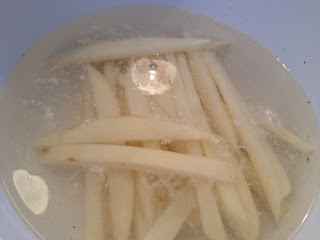 Turn fries over after 15 minutes-ish. 10. Cook for about 30-45 minutes total depending on how many fries on the pan and your desired crispness. 11. 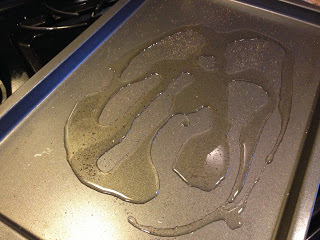 Remove and place on plate with paper towel on the bottom to soak any extra oil. 12. Sprinkle more seasoning if preferred and serve. 13. Be blown away with amazingness. Looks so yummy!! Can't wait to try both!